Painting with watercolors can be a lot of fun. You don’t need tons of equipment to get started, and with practice you can be creating amazing works of art in no time. 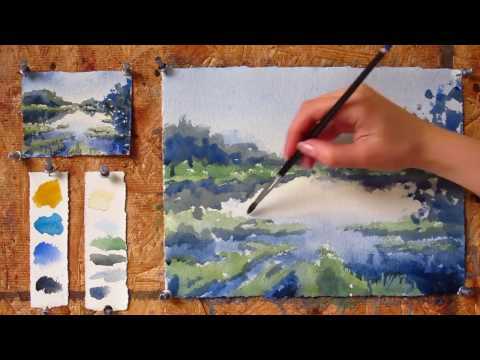 You might also like this list of free, real-time watercolor lessons. Speaking of practicing, here are some excellent watercolor painting tutorials to spark your creativity, then start it ablaze, then run into the kitchen to get the fire extinguisher to get things under control again, or something. 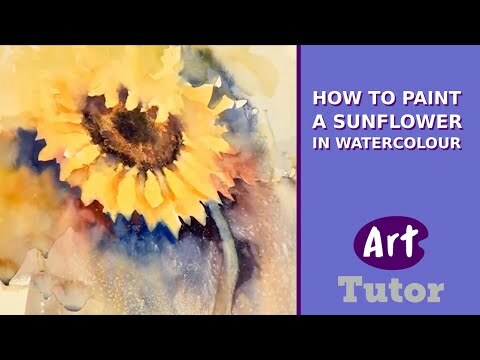 These videos are geared toward beginners, but there might be some inspiration or new tips for seasoned painters, as well. Off we go! In this video, Elizabeth Pontvik shows you how to prepare your painting surface, including what weight to aim for, and how to wet and stretch it. Doing this keeps things from cockling, or getting wrinkled and lumpy, which is something most of us would like to avoid. Here’s a fairly comprehensive demonstration of how to lay out your paints, with a smattering of color theory for good measure. 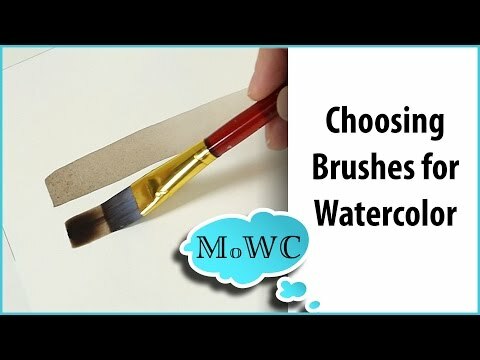 A good overview of the different shapes and hairs to consider when choosing your brushes, with a demonstration of how the different types perform. 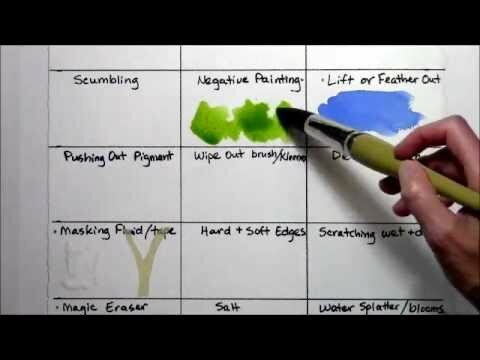 In this video, Lorraine Watry shows you a few different techniques that you can apply to full paintings later on. Click here for Part two, Part three, and Part four. 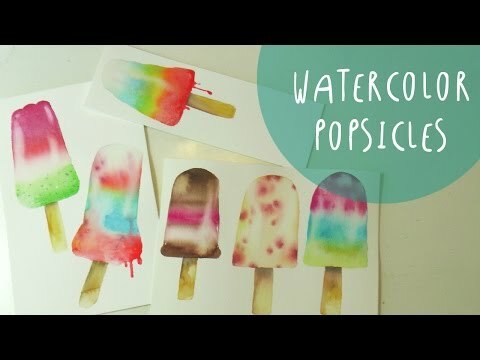 Lots of intro tutorials get you started on some mountains or clouds, which are fine and all, but why not paint some tasty popsicles instead? 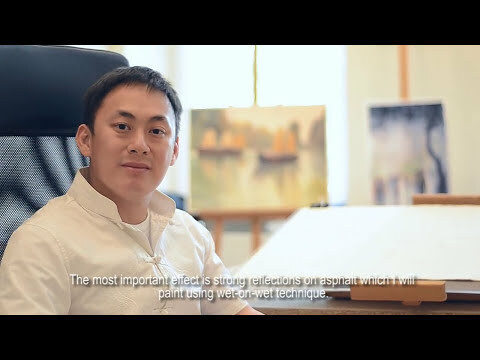 This video gives you an idea of how to blend and lay down color; a bright and happy painting indeed. Insert “pop art” quip here. Trees are easy and fun to paint. 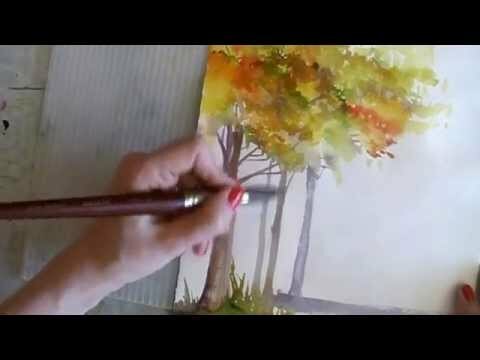 Here’s a good two-for-one watercolor video that shows you how to do a winter-style tree, focusing on the texture in the bark and branches, and an autumn-style tree, focusing on the colors and variations in the foliage. 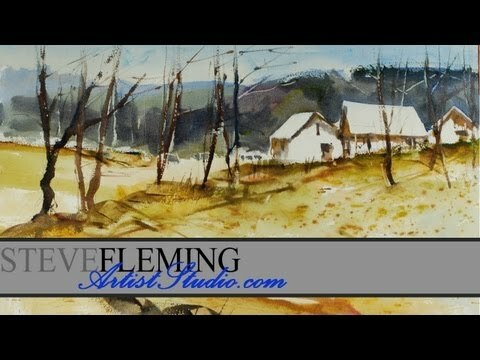 In this video, Steve Fleming walks you through some different techniques for a more spare style of tree and landscape painting. 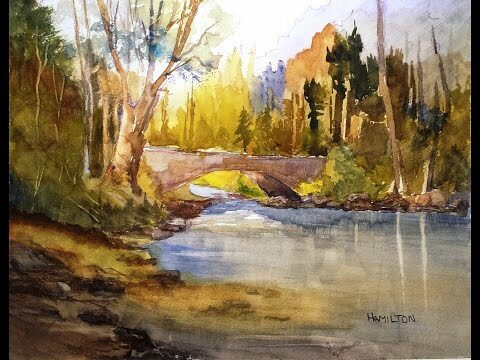 Larry Hamilton walks you through this landscape painting in real time, giving you tips and showing you different effects along the way. Delve into a more urban scene with some nice details, reflections and more. Subtitled in English. For those flower lovers out there, here’s a step-by-step guide to painting a big and bold sunflower. 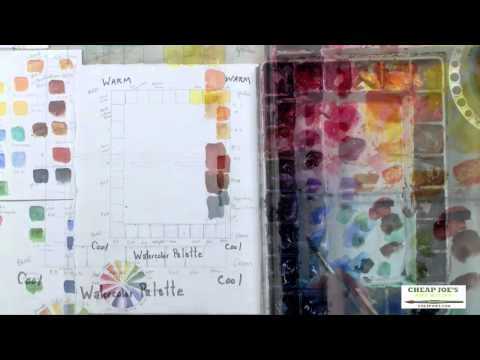 A quick but easy-to-follow watercolor demonstration. Most of the parts that are sped up are just repeated techniques shown in real time earlier in the video. That’s it for now! Have any other videos or techniques you’d like to share? Come on down to the forum and leave a comment.